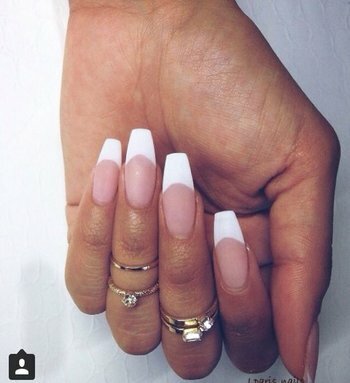 There’s nothing more sophisticated and elegant than a simple French manicure. 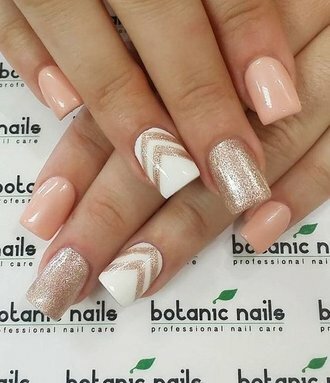 With pink nails and bright white tips, it’s perfect for every occasion especially to go with that classic wedding dress. If you want to complement that ring finger with something extra special, then opt for a different colour or design on that nail. Whether you opt for a glittery accent nail or a fun design (we love the idea of a chevron accent nail, that almost points towards the stunning ring on your finger) ensure it’s bold enough to stand out against the rest of your nails. Interestingly, nail art on just the ring finger apparently has lots of origins and reasoning – check out this Racked article on the matter. 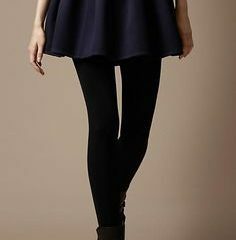 Having a stand out feature on the dress will draw everyone’s attention, too. Are you a big fan of all things ombre and balayage when it comes to your hair? Then why not apply this on your nails and wedding dress too? In this super easy to follow tutorial by YouTuber Ane Li, she shows you how to create a cute ombre nail, with just a few nail polishes and a sponge! 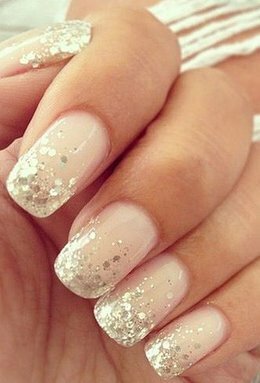 A plain base or a light pastel colour works well for this nail look, that uses glitter polish to make the end of your nails sparkle just as beautifully as the diamond ring on your hand. 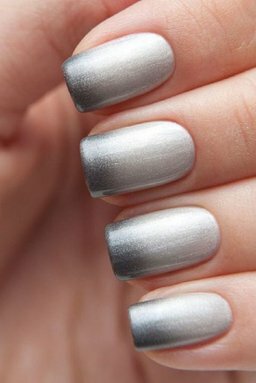 You could apply this by eye using the polish brush or the end of a sponge or grab some tape, apply this just under the tip and then paint the end to get a smooth, straight line. 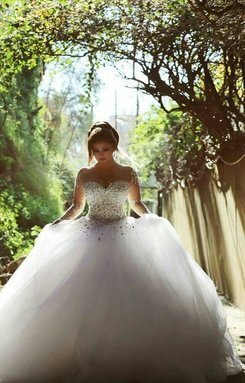 You can add sparkle to the gown and shoes for the ultimate fairytale look. 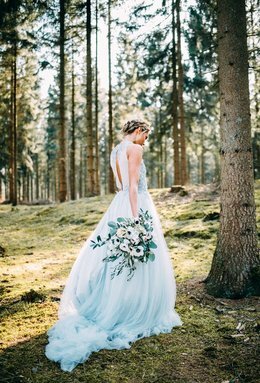 As the saying goes: ‘Something old, something new, something borrowed, something blue.’ So why not make the something blue your nails? Pick out five different shades of blue polish and paint each finger, going from dark on the thumb to light on your little finger. 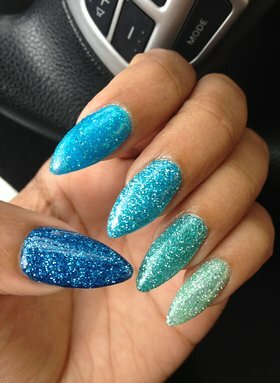 It creates a fun, striking effect and will do a great job complementing that sparkler. 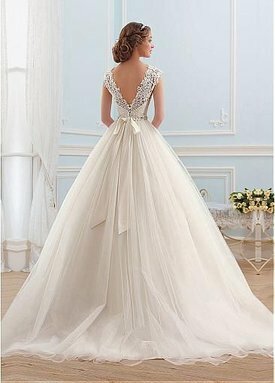 Adding accent colours to the gown is nothing new but having a completely different colour dress would definitely be something new! Hold your fingers straight and ensure you hold your phone or camera at a slight angle to capture the sparkle – a short video might work best, Instagram’s Boomerang app is a great tool for this. Snap away where there’s plenty of light! Hold your hand over a white background, or lay it gently down on a white surface but don’t splay your fingers! Upload, add hashtags and wait for the likes and congratulations to roll in!